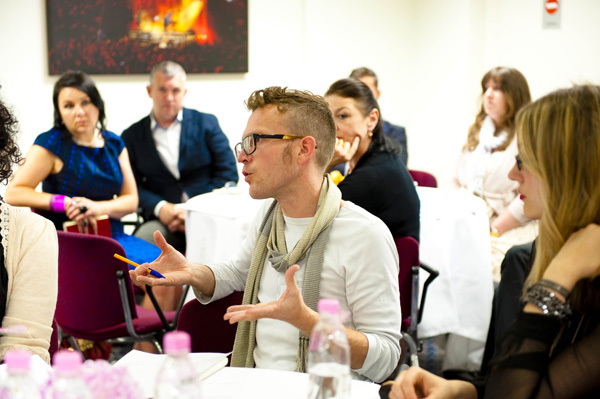 All Walks hosted the first ‘Futures Forum,’ at Graduate Fashion Week, June 2010 to reach deep into education and inspire tutors and students to think about the way fashion design and fashion communication is taught. 61 Heads of Dept from colleges up and down the country were invited to discuss how diversity could make a contribution to creativity, and how the curriculum could reflect a new way of thinking. Fashion illustration, writing photography and styling as well as design, were all areas for discussion. It was the first of regular annual tutor gatherings where we have been lucky enough to collaborate with creative thinkers within our education system. All Walks will continue to work with educationalists to broaden thinking at student level. We have been delighted with the response from educationalists across the board and the conversations have ranged from ‘the power of celebrity,’ to the tricky financial pressures young creatives are under to find a job within a dynamic that does not prioritise consumer well-being, diversity or body image issues. Together we have begun a shift. June 2010: It was at this first meet that we put out a call for a passionate tutor to help us create a Diversity Network. 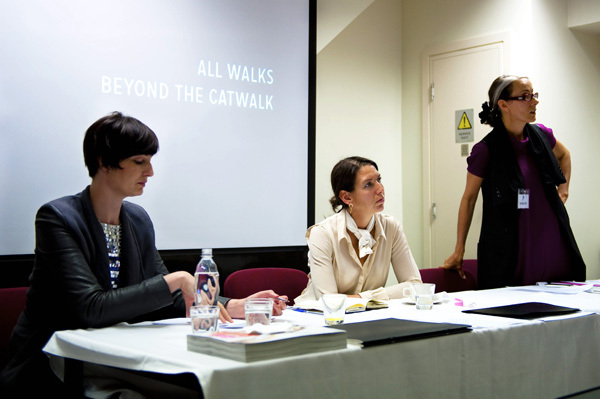 June 2012: With Support from Tricia Jones – publisher of i-D Magazine, All Walks Beyond the Catwalk launched the national student competition Diversity NOW! in association with i-D Magazine - creating a brief that would inspire the next generation of creatives to think in an emotionally considerate and diverse way. Special Thanks to June Barker and Martyn Roberts, former and current organisers of Graduate Fashion Week respectively, for supporting the All Walks Fashion Forum at Graduate Fashion Week. It would not have been possible to do this without them. Photography by Annabel Staff.